Being a Christian single mom dating can be an intimidating process. In addition to figuring out whether your new date is right for you, you also need to make sure they're right for your situation, all while managing a difficult schedule. And there are the additional standards, too - as a single parent, you need someone who is emotionally and financially secure and stable, who can fit into your life without complicating things. There was a time when being a single parent wasn't common, but thankfully, those days are long gone. Being a single parent is a fantastic thing: it means that you are a responsible, caring adult with a child or children you love deeply. Be honest about your situation, as a Christian single mom dating, you don't waste your time. Mention your children and your faith in your Zoosk profile and don't hesitate to share stories about your child, answer the phone to speak with your child or show pictures of your child on a date. 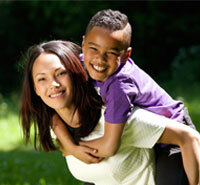 As a single parent, you're undoubtedly spending a lot of your time on your child. Perhaps all of your time. Dating is a fantastic way to rediscover yourself as a person. Take some time to relax before your date, buy yourself a new outfit and do something that you really enjoy. Being a parent is the most important thing in your life but it doesn't need to - and shouldn't - be your entire life. On Parks and Recreation, coworkers Tom and Donna celebrate an annual "Treat yo' self!" day, doing everything they can't do the rest of the year. Think about doing a "Treat yo' self!" 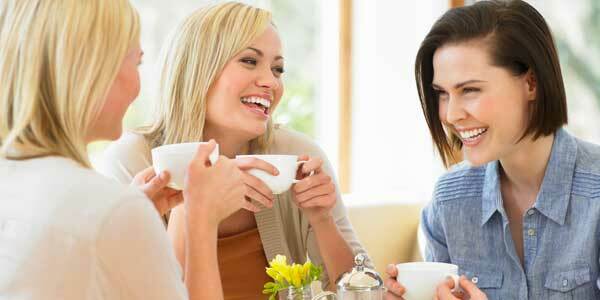 with your girlfriends before your dates to relax and unwind. Don't think of it as selfish. You want your child to see you as a role model. To do that, you need to be a complete, whole person. Do you want your child remembering you solely as a mother who kept the house clean, made meals and tucked them in at night? Or do you want your child remembering those things and also respecting you as a confident adult, who had social experiences, adventures and dreams? Your child will learn from you, so show them how truly amazing you are. When you meet the right person, it's easy to fall head over heels. But don't forget that some care needs to be taken in introducing your children to the new love of your life. Often, a parent in a Christian dating relationship follows the six month rule - never introducing a child to a boyfriend until the relationship has hit six months. Older teen children are often more resilient, they'll understand if they're introduced a little earlier. Meanwhile, very young children may even need to be sheltered for a little longer, use your judgment. Of course, that means that finding some time to be alone can be a bit of a challenge. Balancing love and parenting isn't easy when you can't just say "come over for an evening to watch Netflix with me." Learn to schedule well: utilize sleepovers, babysitters, lunch dates and after school programs to fit your dating life into your parenting life without disruption. But don't forget to take some time just for yourself, too. It may feel like all of this is overwhelming, but it you take it a step at a time you can find your match. Going to a Christian-focused site such as Christian Mingle can make the dating process much easier, as you'll already know that your matches share many of your core values and your faith. You can even find other single parents in your area who are looking for the one!